Want to build a strong marriage and family? 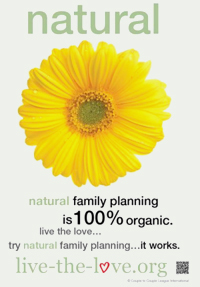 Learn Natural Family Planning (NFP) and help build communication skills and enhance intimacy in your marriage. Attend a three-part series of introductory classes offered by the Couple to Couple League to learn more about this medically safe, morally acceptable and highly effective method, both for postponing and achieving pregnancy.